As you may know that Bonnie attracts all sort friends during her walkies in the park. This retriever is one of them. 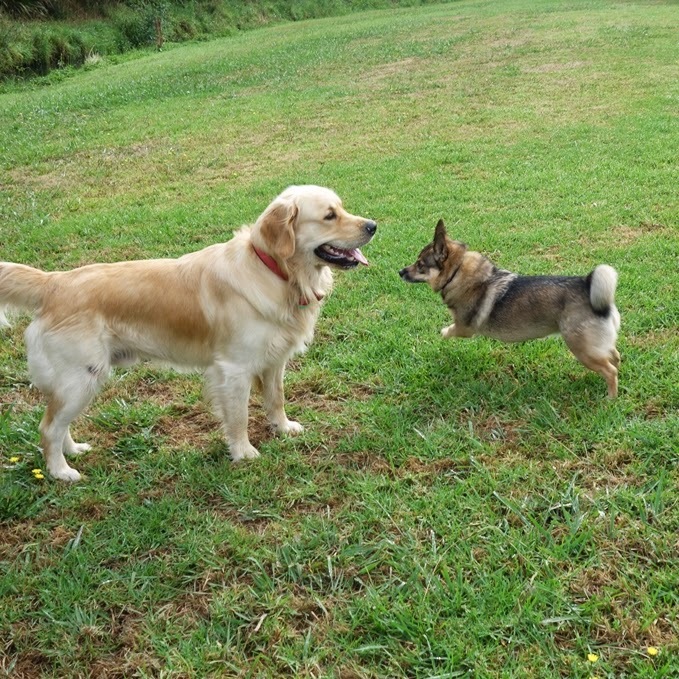 Bonnie is not normally keen on playing with much bigger dogs but this one is an exception. 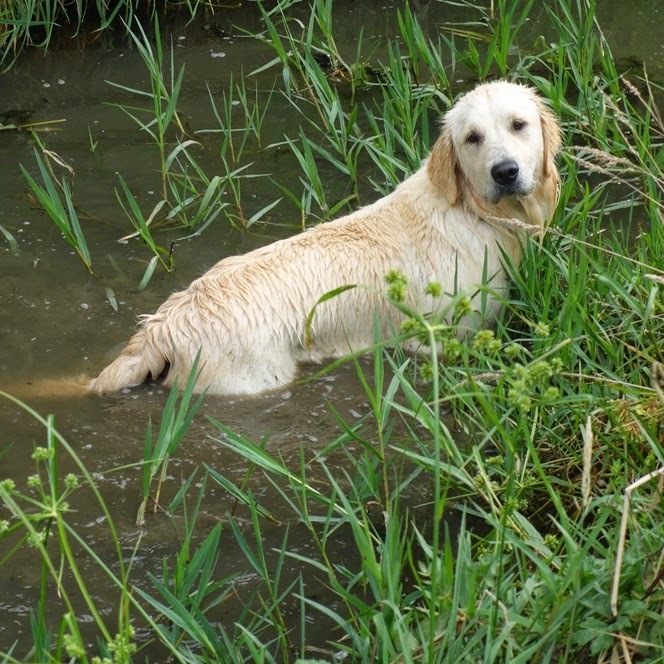 On one hot, sunny day they played and played and things turned a little bit too hot for the retriever. He decided to to take a dip in storm water drain - Bonnie was thinking about it but Bob told her not to even think about it so she came home nice and dry.